Sculptures are gestural (rough hewn) and not polished/final versions. Sculptures are presented with the provided template. All sculptures and poses are recognizable and complete; not amorphous blobs or half-way finished - Meaning that every angle of the sculpt has been addressed with the Clay Strips brush. This exercise is a direct follow-up to the Gestural Sculpting Tutorial. The approach is like sketching in 3D. And just like sketching, the core idea is to achieve essential shapes and forms in a quick-n-dirty fashion. Precision is not the goal; rather the goal is a rough but recognizable sculpture. The benefit of learning to sculpt gesturally is an increase in speed but also rapid familiarity with shape-forming. It's a valuable approach if you'd like to level up general sculpting proficiency. 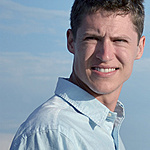 But if you're interested human anatomy, gestural sculpting is a particularly useful method to learn anatomy formation. We don't like to hear it, but the only way to improve our sculpting skills is to practice repeatedly. 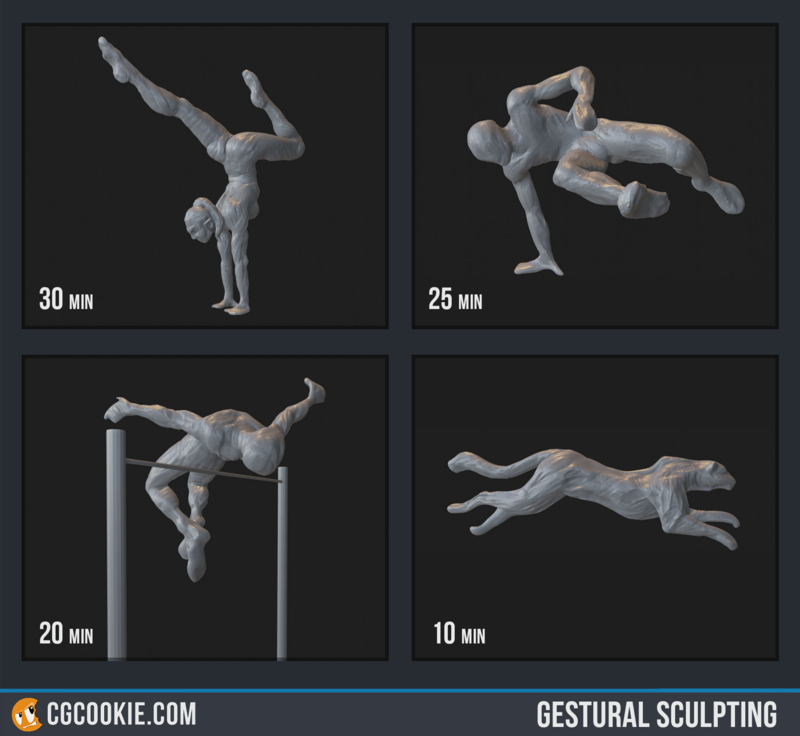 Therefore with this exercise the requirement is to gesturally sculpt 4 subjects with less time each session. To the right of the exercise title you'll find the cloud icon with an arrow in it. This is the button to download the PSD template that you can open with Photoshop or Gimp. Once opened, insert screengrabs (or renders if you're into that) into the corresponding time-stamped boxes. Save out a JPG of the filled-out template and submit for grading! If you followed along with the tutorial, you should already have your 1st subject sculpted: An extreme yoga pose in 30 minutes. If you're keen to stick with human anatomy, I suggest that you do more poses with a pose generator tool like Senshi Stock. Though you don't have to do humans only. You can choose animals or stylized characters. NOTE: If you don't achieve a completed gestural sculpt in the allotted time, you can try again until you do. More practice is only going to be good here. 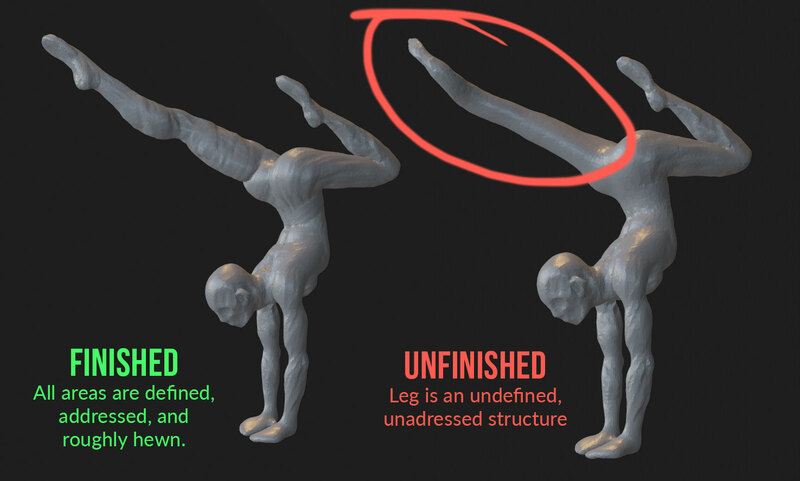 If you don't complete your gestural sculpt in the allotted time, don't submit unfinished sculpts. When I did this exercise I found that focusing on human poses for the first 3 was a good choice because, in keeping with the same shapes, I was able to form them faster each time as familiarity was boosted. But the 10 minute sculpt is a challenge and I suggest you choose your subject wisely. I went with a mostly symmetrical animal so that A) I could get both sides for the price of one and B) the cheetah didn't have fine details like human hands / feet. Once finished with perfect symmetry, I simply disabled symmetry and offset the limbs to better match my reference (symmetry is usually an enemy to realism / believability).